PRIVACY STATEMENT AND CONSENT TO USE OF DATA AT CAVMAC. Statistical data such as that we collect from visits to our online shop or website cannot be connected directly with your person and as such is not included. An example of these statistics would be details of those pages on that are particularly popular or of the number of users visiting specific pages. • For the overall handling of your purchase and to carry out our obligations arising from any contracts entered into between you and us and to provide you with the information, products and services that you request from us. • We may use the information to improve our products and services and to provide you with information about other products and services that we may offer that are similar to those that you have already purchased or enquired about. • For existing customers we will only contact you by electronic means with information about products or services similar to those, which were subject of a previous sale or negotiations of sale to you. If you are a new customer, we will contact you by electronic means only if you have consented to this. If you do not wish us to use your data in this way, please tick the relevant box situated on the form on which we collect your data. • We may periodically send by post or by promotional emails about new products, special offers or other information which we think you may find interesting using the email address which you have provided. We use traffic log cookies to identify which pages are being used. This helps us analyse data about web page traffic and improve our website in order to tailor it to customer needs. We only use this information for statistical analysis purposes and does not include IP addresses or any personal information it just provides us with a general overview of numbers of site visits and region. All requests to restrict or withdraw any personal information held will be dealt with immediately and checked internally by a Senior Manager to confirm it has been deleted. You may request details of personal information which we hold about you under the Data Protection Act, 1988 & Data Protection (Amendment) Act, 2003. 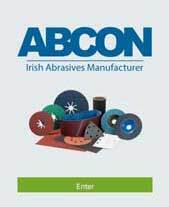 If you would like a copy of the information held on you please write to Abcon Industrial Products Ltd. CavMac Hose Building, Cavan Road, Cootehill, Co. Cavan, H16 HY64. Ireland. Data protection is very important to Cavmac. Therefore we strive to comply strictly with the statutory provisions set out under the Act including only needing to hold accurate, complete and up to date information. If you believe that any information we are holding on you is incorrect or incomplete, please write to or email us as soon as possible, at the above address. We will promptly correct any information found to be incorrect. Cavmac confirm that we will not hold onto any personal data for longer than is necessary for the purpose(s) for which it was obtained. With regard to credit card information, once the transaction has been finalised it is our policy to delete the details, unless we have obtained the consent of customers to retain details to ease future transactions.